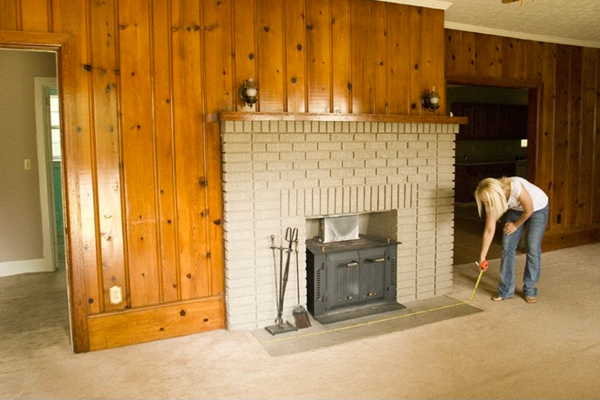 Many people have the outdated, all brick fireplaces in their homes. And many are afraid to paint it. But I'm here to tell you, do it! In fact, paint it black and then add white wood surround. And if you're not quite sure about that suggestion, let me show you just how wonderful it is. This is a before picture from The Lettered Cottage. 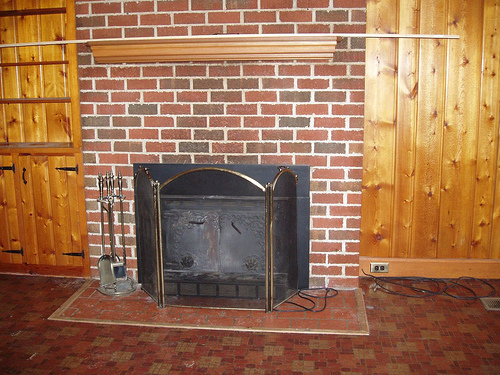 Someone had already painted over the brick, but you still get the gist--their fireplace was ugly and outdated. And here is the after--beautiful and classic. And they did it all for $82! Not too shabby! 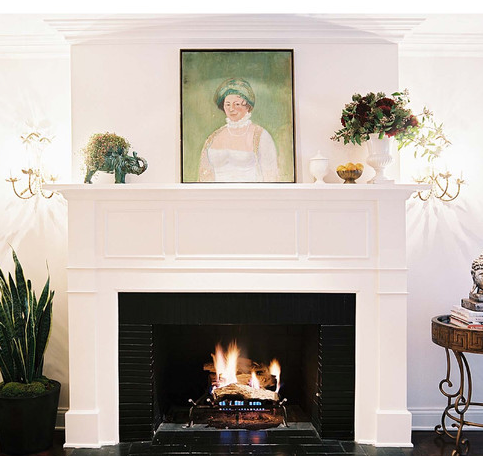 And here is another example of the black brick with the white wood surround. Don't worry. There is hope. You can work some magic and come out with a stunner like this. 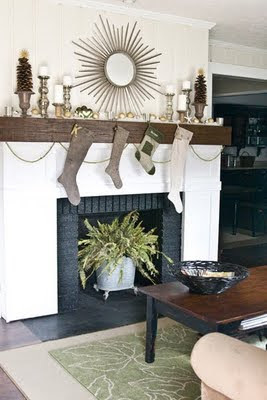 For the whole tutorial from The Lettered Cottage, go here. Tomorrow I'm going to be showing you a before and after of my sister's kitchen!